The largest cemetery in the city, Cemiterio de Pere-Lachaise contains the graves of many famous French people buried over the past 200 years. The grave sites range from simple, unadorned headstones to towering monuments, and even elaborate mini chapels dedicated to the memory of well-known people or families. Many tombs are about the size and shape of a telephone booth, with just enough space to step inside, kneel to say a prayer, and leave some flowers. 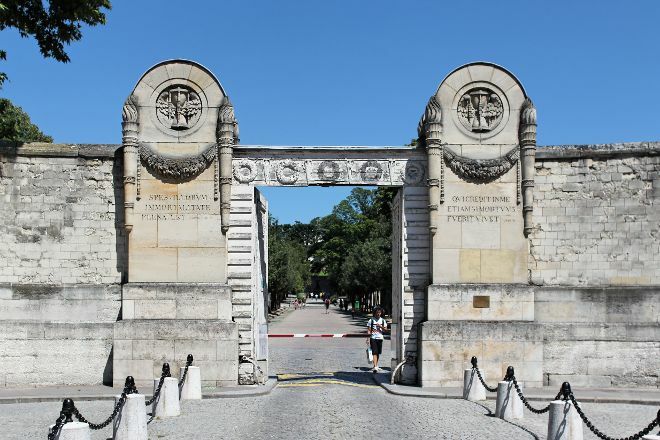 Over 1 million bodies are buried here, but you can download a listing with a map that shows the grave locations for the most prominent figures. At the secret ossuary behind the Aux Morts statue, see the bones of almost 2 million Parisians from all over the city, similar to the skull and bone ossuary from the famous Paris catacombs. 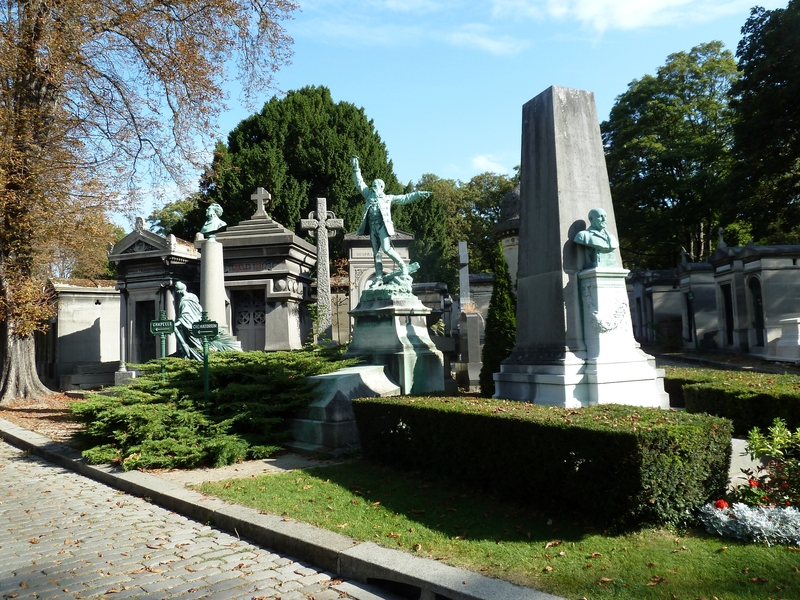 See Cemiterio de Pere-Lachaise and all Paris has to offer by arranging your trip with our Paris trip itinerary planner . Slightly hidden and outside the Hustle and bustle. Outside a Plaque with the fallen. At the Entrance there are Possibilities to experience the Cemetery better by qr Code. It Is also best to photograph the Map. If you do not Orient yourself to the respective Aisle name, but to the Couch Surfaces, you can cope better with the Numbers. Edith Piaf is in the second Row. Being there Early, then you really have Peace and quiet and can enjoy the Place. Great Place. Recommend you to just ramble, not follow any map. Go into the small winding paths behind the tombs. Sadly, the cemetery is completely decaying. Be careful. Tombs have and will rage in. 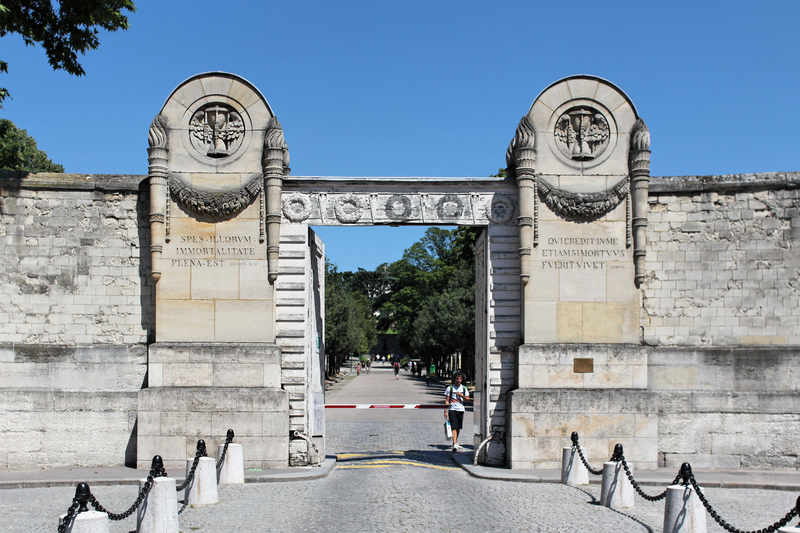 The city of Paris should recognise the importance of preserving the place. So quiet and peaceful, also huge! You could spend an entire day here. It’s also in a cool area of Paris where the locals are. Definitely don’t miss this during your trip to Paris. Very calm place, perfect for a quiet walk. You can also find the tombs of some famous people, but it will take you a lot of time to find what you're searching for, so prepare yourself for a couple hours there. All in all, it's a nice and relaxing place, worth visiting if you're around!